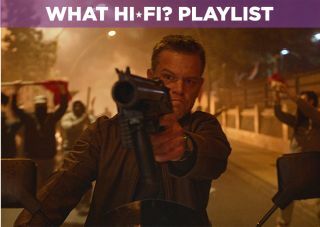 Jason Bourne – Blu-ray review | What Hi-Fi? It's been nine years since we last saw Jason Bourne on our screens and he's looking a little worse for wear. Still haunted by the memories of the people he killed during his time as a Treadstone operative, he's off the grid, competing in bare knuckle fights to scrape a living. With the world seemingly having forgotten about his existence, what reason could he have for coming back into the fold? The plot kicks into gear when Nikky Parson – former Treadstone agent, now whistleblower – infiltrates the CIA database looking for information about new Black Ops programs. She comes across information about Bourne's history with Treadstone, suggesting his father was involved in it. From the off it's apparent that this latest collaboration from Greengrass and Damon (neither would commit to this film without the other), isn't as fresh as the preceding films in this series. Despite its attempt to integrate today's hot issues, such as privacy, hacking and digital freedom, the structure of the film remains similar to previous ones. There's plenty of globetrotting, 'assets' engaged in familiar activities and action sequences that echo the visceral film of Supremacy and Ultimatum. But the reasons for bringing Bourne back are lacklustre, as if Greengrass and Christopher Rouse couldn't quite pin down a reason to bring him back. In that respect, Bourne feels a little tired and leggy, but both Damon and Greengrass have clearly put in the effort to make this return as good as they could. The action scenes are thunderous and that gritty aesthetic that has been the hallmark of the series is present and correct. Damon's assasin is even more monosyllabic in this edition, driven by the need to find the truth and find a purpose in a world that's left him behind. The rest of the cast are fine. Alicia Vikander's CIA agent is driven, while Tommy Lee Jones epitomises the snake-oil CIA agents we've come to expect from these films. Vincent Cassel literally has no name (he's called 'Asset') but does exactly what the film requies of him. Greengrass is known for moving the camera image stability is string and there's little, if any, loss of focus. The image is polished, but retains a gritty feel, with strong colours (explosions light up the screen) and plenty of dirt, dust and grime in the image. There's one instance where you can spot smudges of dirt on a computer screen, that helps the film's attempt to feel 'real'. In terms of the audio it's a smashing soundtrack - quite literally in some cases. The bassy score by John Powell and David Buckley helps sustain action sequences with an intensity that's become a trademark for the Bourne series. Sound is loud and clear, with action scenes delivering plenty of 'crash, bang, wallop', duly exploiting the surround channels. The car chase on the Las Vegas strip is especially good and the final fight is a brutal sounding one. Jason Bourne is definitely showing its age in this latest instalment. It's not as fresh or as innovative as the original trilogy, but is head and shoulders above the weak and ineffectual Bourne Legacy. Fans of the series will enjoy this release. It delivers some terrific action and disc will give any home cinema system a good workout.